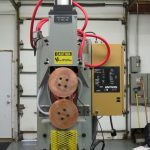 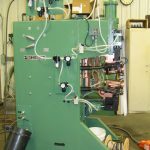 Seam Welders - Spot Weld, Inc.
Spot Weld, Inc. has had a great deal of experience with building new and refurbishing existing seam welding equipment. 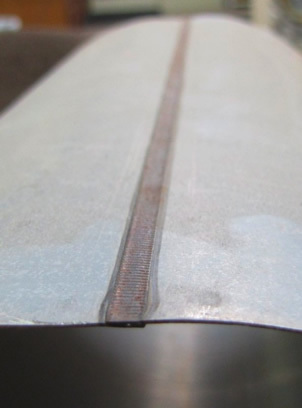 Of all of the types of standard welding equipment on the market, Resistance Seam Welders are needlessly some of the most complicated to purchase. 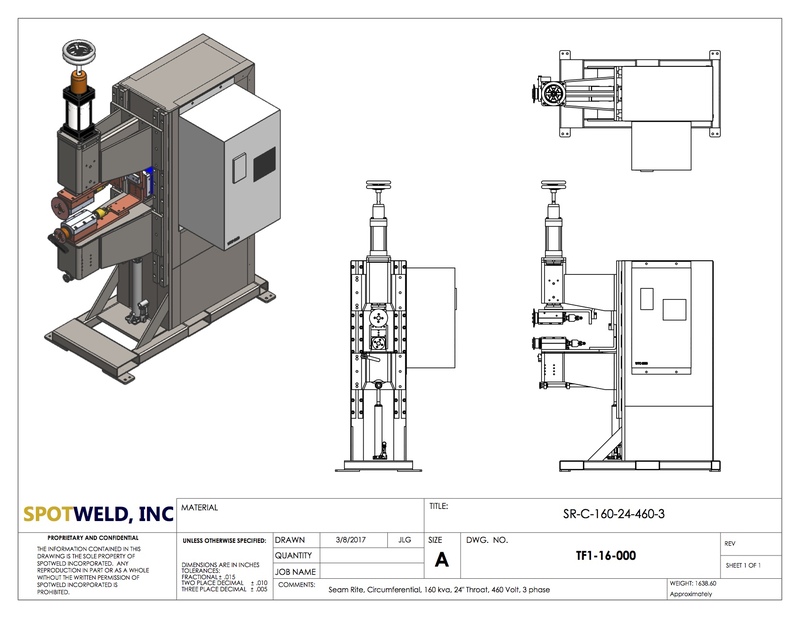 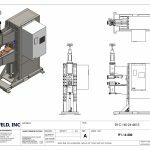 At Spot Weld, Inc., we make it our goal to help you understand the process and get the right equipment for you. 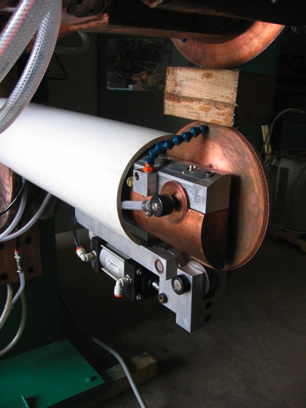 We have spent 30 years gaining the knowledge required to develop our own seam welders. 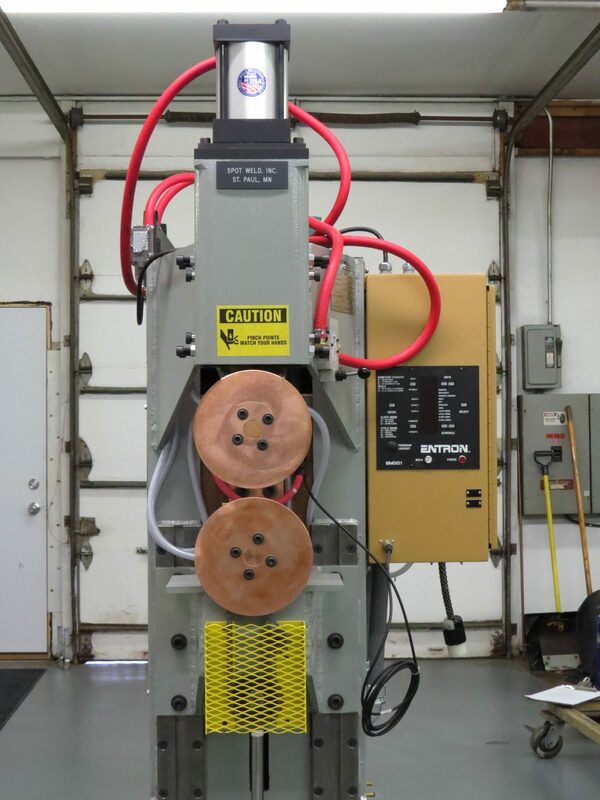 We offer both Circumferencial and Longitudinal models, with knurl drives, direct drives, with filtered recirculating drip pans, and special tooling that is compatible with our equipment. 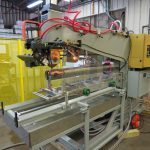 We also always endeavor to have a wide selection of used seam welders on hand to refurbish, should the need arise for a more economical solution. 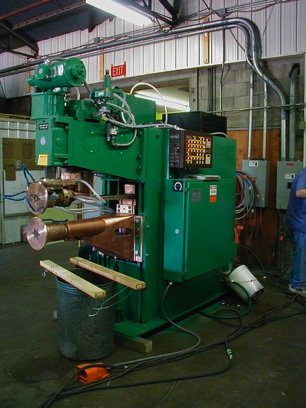 Seam Welders, Circumferential (figure A)- A Spot Weld, Inc. Circumferential Resistance Seam Welder uses our own proprietary seam head design. 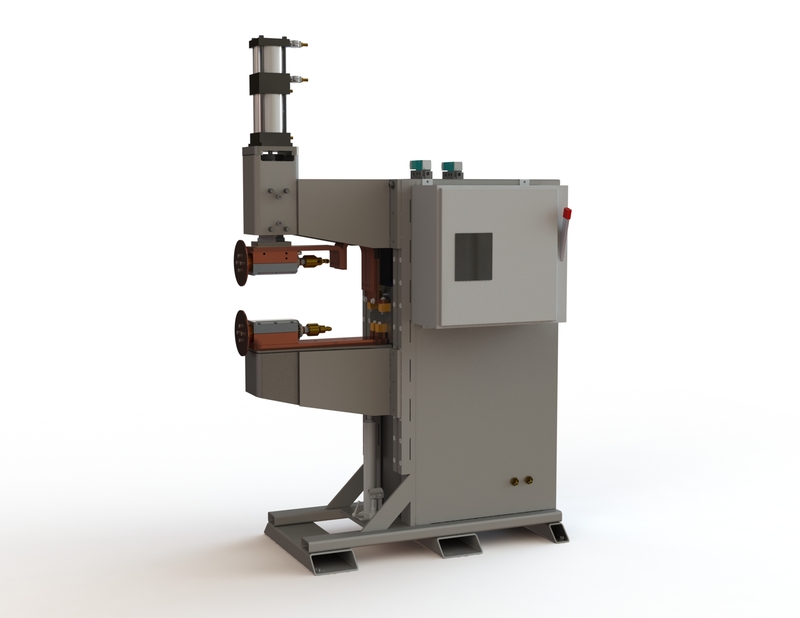 The head design is at the same time simple, easy to maintain, easily rebuildable, and carries a very high amperage rating for its size. 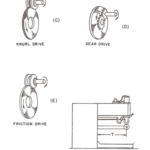 Standard machines are gear & chain driven, with knurlers optional. 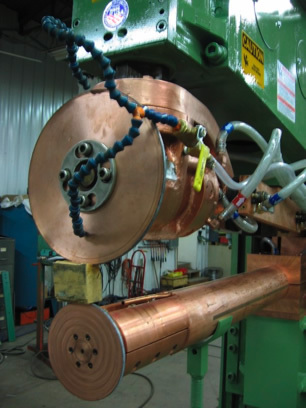 (Knurlers are for welding coated materials such as galvanized, aluminized, and galvanneal). 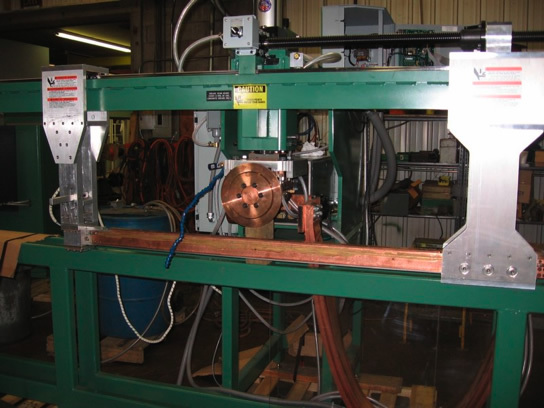 Seam Welders, longitudinal (figure B) – A Spot Weld, Inc. Longitudinal Resistance Seam Welder uses an upper drive wheel with a lower idling wheel. 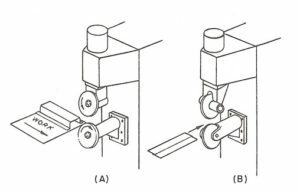 The lower wheel uses a yolk and bushing design, with replaceable inserts to allow repairs to damaged or poorly maintained surfaces. 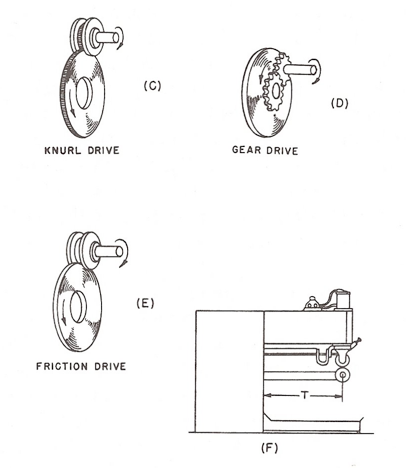 Standard machines are gear & chain driven, with knurlers optional. 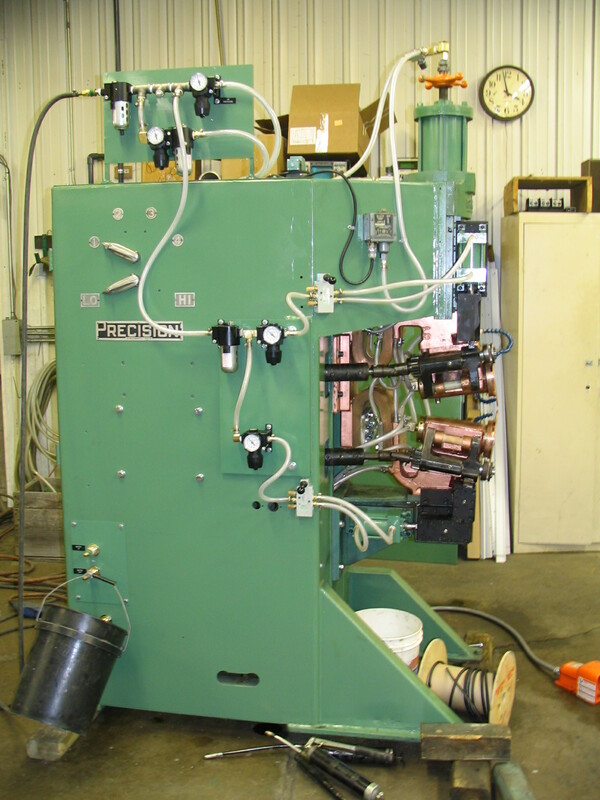 (Knurlers are for welding coated materials such as galvanized, aluminized, and galvanneal). 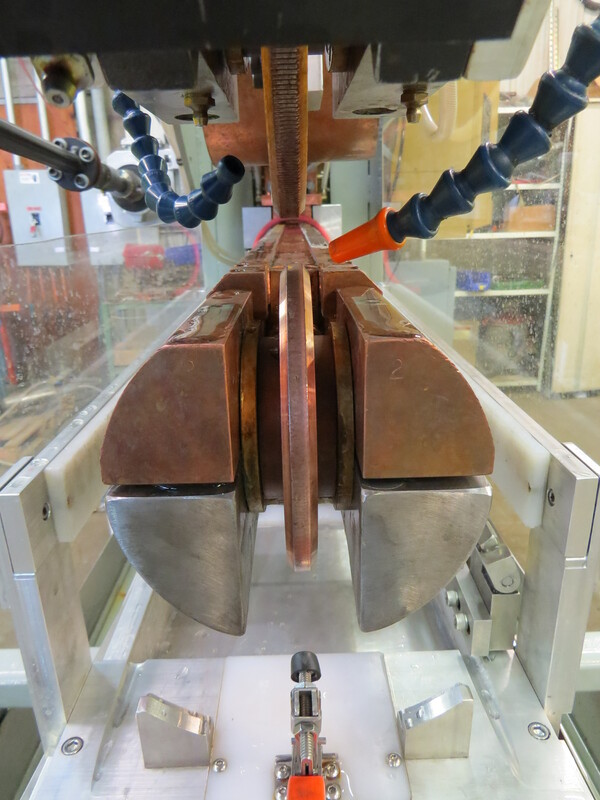 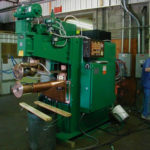 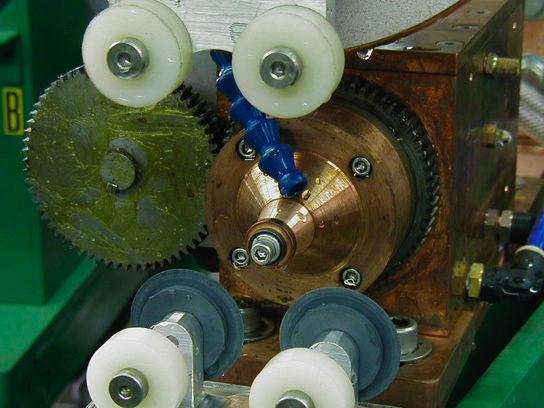 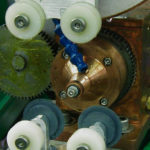 Seam Welding, alternative method – Many of the Spot Weld, Inc. standard machines can be modified to include a “Rapid-Fire” option. 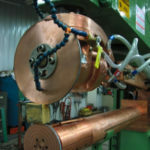 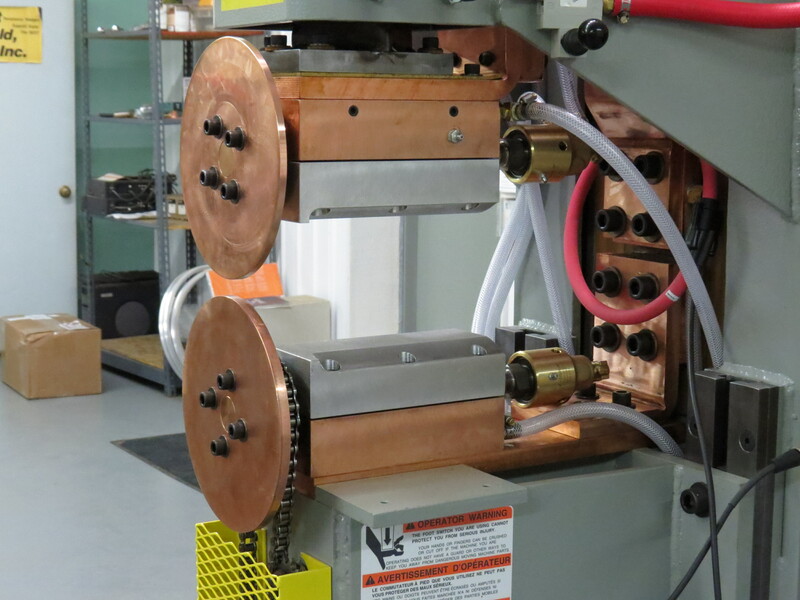 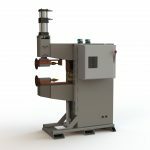 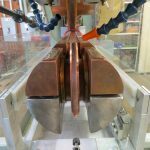 A specially designed water cooled air cylinder is added that allows a traditional spot welder to achive 60 welds-per-minutee and we have seen up to 100 welds-per-minute with this technique. 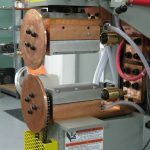 This is an inexpensive alternative to seam welding, and can be considerably more adaptaptable than traditional seam welding for complex geometry. 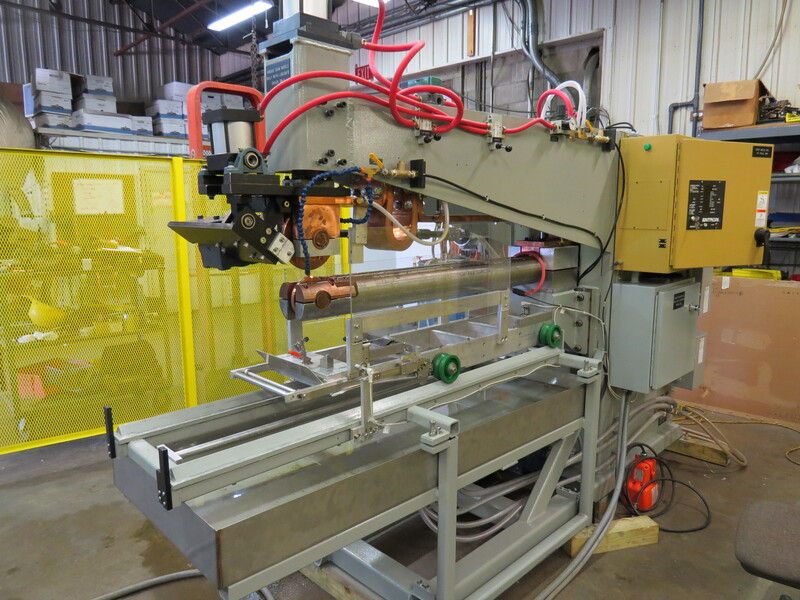 Spot Weld, Inc. Circumferential Seam Welder footprint, with WTC Gen6 MFDC Inverter control. 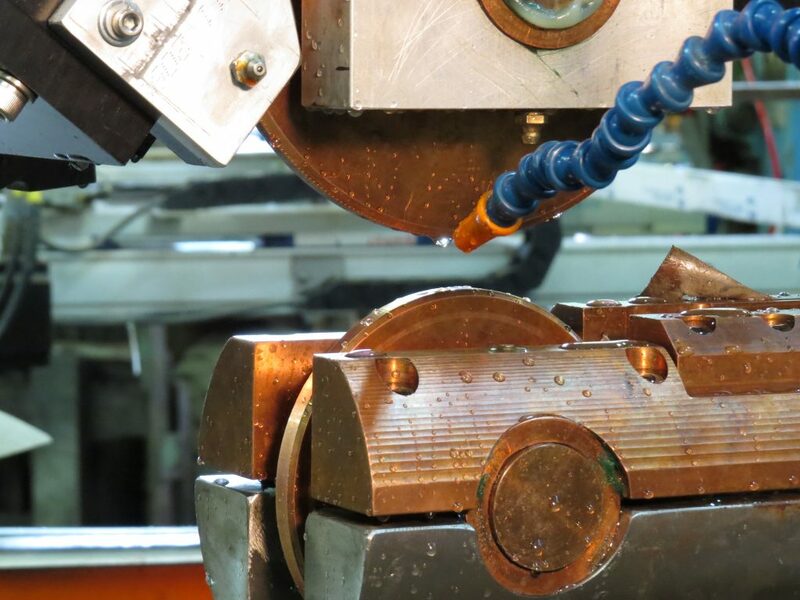 Knurling system on the lower arm of a welder. 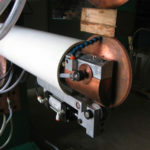 Low profile knurler fits in the ID of tube. 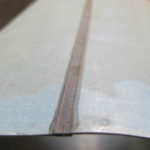 Example gas tight seam weld on 0.030" galvaneal, pressure tested at 100PSI. 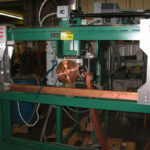 Custom filter welder; weld head stationary, lower mandrel moves with part.